Listening To, And Assisting In Healing Trauma. The term healing is misleading and one that contributes to misinterpret one's reality or current emotional state. In this sense the word implies that someone is emotionally ill, which in turn leads individuals to accept it as a life condition, inherent and permanent, creating and feeding an energetic cloud that lies heavy on their psyche and emotional body. It is counter-productive as it urges a sense of immediacy, and a constant struggle pushing against time. Healing is always in the now, not in the future. It's one of the new beliefs of the new age, that goes along the lines of the original sin. It doesn't help that numerous healers, as well as a large number of people who neither have received any training in healing trauma, nor have healed their own, spread the message that healing is a process that ends the day we die. Such statement only prepares people for a life of suffering, not knowing how to deal, nor heal any trauma, as it becomes infinite, endless while still stuck in a moment in time. Healing might be needed throughout different stages in life, but there are ways to make the process more practical, more fun, more playful. It's a lifetime we live, not a life sentence. Learning a concept goes beyond giving it intellectual meaning. Healing comes through feeling and emotion. The knowledge acquired through healing is emotional, as well as energetic. Traditional education has trained people to memorise knowledge in order to pass an exam. What's essential in healing trauma is the training of emotional intelligence. Such message is devoid of any substance, truth or depth. No one has to suffer the entire length of a lifetime. It's possible to detach from the emotions attached to trauma, achieving inner peace by training emotional intelligence in order to heal the emotional body. In the healing process there is a time in which someone can speak of their traumas without falling once again victim of their emotions. While emotion is necessary to tell our story, it is also essential to reach a healthy level of detachment. During the process of healing an while reliving trauma, no one can tell their story without emotion. Emotions make a good story teller. However, how someone expresses emotion determines the nature of the story. It is by following emotions that anyone can at some point overcome their emotional reality, reaching a different stage in their healing. At some point, the story loses the emotion and consequently the pain. At this stage, life doesn't become painless, as there will be more episodes in which pain appears. However, it does become easier to deal with pain, once an individual understands the difference between pain and suffering, and so with emotions. In this process, there are practical techniques and methods available that one can learn and practice in order to deal with triggers caused by trauma or the situations that trigger such emotions. Before going into the listening part that may contribute to someone's healing, a word of warning. There's a large number of practitioners, so-called healers or 'internet-shamans' that after a week's worth of training in certain healing techniques and processes offer miraculous results. In many of these cases, what's being sold is a hopeful placebo that invites bypassing, so as to skip several stages in healing trauma. It's not possible to claim a healthy state of healing, while this is all we talk about. It's not how it works. Emotions are dealt with, both, speaking up, and in silence. There's a time to talk, and a time to feel. A common reaction to emotion is to go from feeling suicidal to I am now in bliss within hours might not be the best indication that one has healed, nor that they may be able to help others. Fluctuating from "suicidal" to "bliss" in a matter of hours may be an indication that a 'healer' cannot hold the space for someone's healing. It takes the same amount of energy to decide that one wants to end with everything than to decide to live a life to the full. Giving up is a trained thought. Healthy healers know that they have to keep themselves in a good and balance emotional state, which allows them to connect with the feelings and emotions required to hold such space, so as to transmit a healing energy to others. In order to create and be able to facilitate the space, one must have presence; to be able to live in the here and now. A healer doesn't have to be permanently happy, but they have to maintain certain stability that allows immediate connection with a healthy emotional state, being able then to create the appropriate energetic space to hold someone else's trauma and emotions. This is another reason why it is essential that healers, therapeutic practitioners and entrepreneurs get paid. A healing practice without the minimum level of wealth is doom to fail, as healers, coaches and therapeutic practitioners find themselves constantly catching up with practical matters that cause emotional upheavals or having to find different sources of income, which limits the amount of time, energy and effort that they can dedicate to their clients. Anyone can hold space for someone else by not reacting to, nor bringing their own emotions. In order to heal it is necessary to be acknowledged, reason for which, hiring a healer, attending a group or retreat can have an incredible effect in people's healing. Healing with and through people doesn't mean that someone dumps their emotions and traumas on others, a mistake people often make when reacting to emotions. There are steps that can be taken to create a safe space for such purpose. Listening to others is an art and a rare quality to find in people. Listening to others is on principle one of the easiest things to do. However, many people react to such situations by offering unwanted solutions or giving opinions that in most cases are counter-productive. Acknowledgement comes through being heard. Unwanted opinions or advice interfere with the process, and people neither feel heard, nor acknowledge, which creates anxiety and an urge to express their trauma even more. When someone tries to offer solutions without being asked for it, they get involved in the emotion and trauma. Listening to others is about the speaker, never about the listener. One of the common mistakes that are made when expressing emotion in healing is that the speaker often wants to be heard by the people who caused the trauma. This is often difficult , if not impossible. Family members are outcast by further bullying with either more criticism, victim shaming or name calling. People who inflict pain and suffering on others, tend to carry a heavy load of guilt and shame themselves. The only defense mechanism they have against further shame or guilt is to try and convince the victim that the events that led to create trauma was indeed their fault. This is a recurrent trait in narcissists, who will continue attacking the victim throughout life, so as not to admit their wrongdoings. At the same time, they will speak highly of themselves, their achievements and personal qualities. In their eyes, narcissists are always better and do better. However fierce their mindless attacks are, it has to be understood that such confrontations are emotional reactions to guilt and shame knowing that they are in the wrong. They know. The just won't admit it. The truth always comes out and in time, everyone gets to the place they deserve. Even the most narcissistic of all eventually is hit by conscience. In many cases trauma is caused by strangers in one isolated action, as it is in the case of sexual abuse. This makes it almost impossible to be acknowledged by the attacker. It's unlikely that they'd ever be willing to listen to their victims or that they reach a balanced and healthy state of conscience that may facilitate the situation. The #metoo movement has helped many in being acknowledged and feeling heard, although there has also been too many people, including both, men and women who interfered with the process by claiming that not all men are the same. Months before the movement took over social media, I've already written an article: 'All men are the same', in which the main message is listening to others, specifically to women in this particular case. Of course, the article didn't get much attention. Ask someone to listen to you and they'll tell you their story. The world wants to be heard, while most people are hardly heard or acknowledged. Even though listeners are rare, due to the overwhelming need of most people to share their stories and traumas with the world, there are many out there. They are easily recognised. They are the people that others go to talk and share their stories. Listening is also an energy that people healing from trauma can easily recognise. On social media you will have your inbox filled with countless stories from strangers or friends. They know you listen. At the same time, strangers would approach you in public places and ask to talk to you or sit with you. What they recognise in you is the ability for silence, the lack of desperation to tell your story, as you already know it and understand it. In order to assist others in healing trauma one has to create the space where they can express themselves freely. Listen to them without a personal opinion. Do not jugde or comment unless asked for it. People going through emotions while talking about their trauma tend to find it difficult to be eloquent or maintain fluidity. As a result of this, they will pause in order to find the air to breath. This silence might feel uncomfortable, which is when many people use the opportunity to break it by talking. Allow the silence instead. Pay attention to them and give space and time for them to continue. If interrupted, the speaker would feel betrayed and resort to a different time of silence. The silence that is produced when they don't feel heard, nor acknowledge. In order to listen to others, time and space is necessary, but so it is pause and patience. When asked to comment, it's best to respond with question that would help them to expand on their points. A simple "I hear you" does wonders when acknowledging others. Pause and silence also allows the speaker to gather their thoughts, find composure in the midst of emotions and listening to themselves. Interrupting this process can do more harm than good. If this is a recurrent situation, there will be time to introduce ideas, opinions, experience or recommendations, but it's also essential not to give advice or direction on subjects one doesn't have any experience of. When the speaker is expressing their trauma with raw emotion, they just want to be heard and acknowledged. Listening to them in silence and without personal input, in time one learns to know what they want or may need. Most people don't listen to others, nor don't know how, because they don't listen to themselves. Don't be one of them. 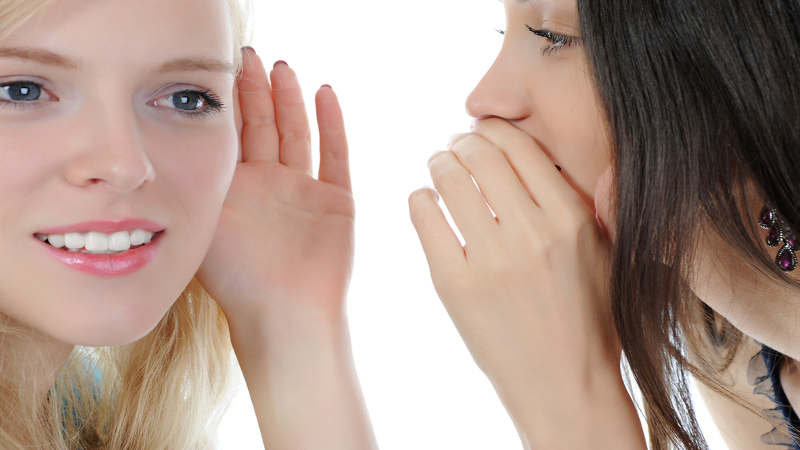 Listening to others creates trust, which is another essential quality in healers. Listening to others is an important element in my therapeutic practice with clients, as by listening I can interpret their energies, where they are energetically at the time, which helps me to recognise their needs, as well as the numerous personal qualities and possibilities that they have ahead of them. Silence can be considered a different dimension in a world so stridently noisy, a space that provides all the elements that help to interpret reality from a deeper level. If silence and listening are considered art, it's because it requires practice. Every pause, every minute of silence is a step forward into healing. We don't have to talk endlessly. In silence one learns to hear and listen to what's important. Then we can talk. A response to Matt Damon's polemic different levels of sexual abuse. 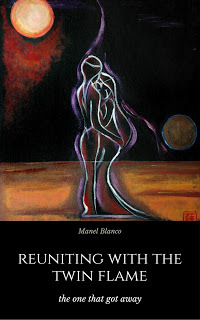 The book 'Reuniting with the Twin Flame' is now available on Amazon. For soul readings visit this other page. The Beauty And Shame Of The Female Body.